If you are searching for effective ways to rapidly expand your business, and sell more than what you are currently selling, then you should include video promotion to your marketing mix. Millions of people are now becoming aware of various advantages of video marketing, and are using it extensively for promoting their brand, services or products. Today people are hungry for information, but want that fast. So they’d prefer to spend 2-3 minutes watching a video than spending 15-20 minutes reading some text. Moreover, videos also help businesses in communicating their important points to their target audience in very little time. Another plus point with videos is that you can not only place them on your website but anywhere on the Internet to get maximum online exposure! Many websites such as Vimeo and YouTube get millions of hits a day. Best of all, your video can also be optimized to rank on the top of search engine result pages, giving your company an instant exposure to millions of potential buyers. Just imagine somebody from your local area searching your type of service and product on Google and …then suddenly your video pops up! They’ll immediately click on it for more info. A detailed study by A.C. Nielsen in 2011 has reported that approximately 76 percent of US citizens spend 43 hours a month on the Internet. During this time they view more than 3237 web pages, including videos. In 2012, people in the US watched more than 21 billion videos online, which indicates that video marketing can be the most powerful way to reach to their target markets. – With audio visuals, you can easily pass your marketing message more effectively because this particular medium appeals to several senses. The use of sound and images elicits feeling and better understanding of the idea. Moreover, watching the message needs little attention and can retain people who would have otherwise opted for other things. – One of the best advantages of video marketing is that it increases the duration that a person spends on a web page. Your target audience will remember what they saw and heard unlike other marketing methods. This is the best way to present your products, service and explain how they work. Today you can use social media and emails to distribute your videos. – Innovative technology has allowed cheap production of videos because hardware such as editing suites, cameras, and other important items are now available at cheap rates. 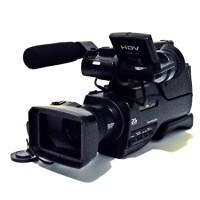 Many companies are now offering video production facilities at affordable prices to businesses. – Use of audio visuals also helps you in winning the trust of audience because they understand that it takes time and efforts to product marketing messages. This also creates an impression that company is really serious and cares about their image and wants to capture attention. As you know, success starts with the first impression that your target audience has about you and this is the best way to create a favorable image. – Past research shows than more than 79 percent of people who use the Internet frequently watch various videos. This makes this a powerful medium, and if it is well packaged and used effectively can work wonders for any company. – While using search engine, Internet users check what all is listed on the second page of the results. Mostly, videos are give much higher priority than pictures, text and audio files thus giving you a much better chance to pass on your marketing message. By adding videos to your website, you can help it rank high and make your company more noticeable. – One of the best advantages of video marketing is that videos you create will last for years and will get you more exposure with time. Usually ads die out within a short time, but opposite is true with viral videos, so you will continue to reap benefits for years.